Fairy tales are magical things. They fill a child with a sense of wonder about what could or could not be. Well, that’s the case for the majority of children. For others, they’re a terrifying reminder that ghouls, goblins and trolls are very real and are lurking around every corner. I can’t quite recall which side of the fence I fell on though. I was more preoccupied with the fear of Vigor from Ghostbusters II coming to abduct me than I was about some giant or hobgoblin. Vigor comes out of paintings like a pre-20th Century Samara from The Ring. Now that’s chilling. But I digress… fairy tales are a great source of inspiration for Hollywood, whether they’re ancient Bavarian tales, or stories scribbled on the back of a beer coaster in 2011. But who doesn’t love a twist on the original story? Something fresh to entertain adults and children alike. Enter Jack The Giant Slayer. The words in the title will be familiar, the contents less so. It’d be fair to say that the words “Jack” and “Giant” should conjure up images of beans, castles in the sky and a thieving kid called Jack. It’s a story that’s been told and re-told since the early 19th Century, so it wouldn’t surprise me if you did know it. But strip out the notion that Jack is a thieving git who steals shiny objects like a magpie from the giant’s house before killing him and getting away with it. Shake it all up a bit. Add in an army of giants and a quest to save a princess and you have Jack The Giant Slayer. Yes, this is a new take on the classic story, starring Nicholas Hoult as Jack. Last time we saw Hoult was in Warm Bodies, where he played a shuffling corpse capable of human emotions. 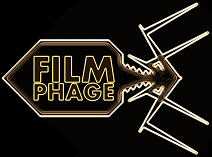 If you remember, we weren’t overly fond of it owing to The Phage‘s affection for zombiekind. Well now he plays Jack – an extremely poor lad that lives with his uncle, owing to the untimely passing of his mother and father. Jack’s quested with selling some goods in town to repair their ailing house, but through being in the wrong/right place at the wrong/right time, he ends up with some beans… beans that will alter the path of his life and the whole Kingdom of Cloister. A Princess is in peril and there’s a whole army of giants up in the sky who can’t wait for some tasty human flesh. Giant slaying… pretty funny business! Actually, now I come to think of it, there are probably some good parallels to be drawn between a zombie film and a giant film. Both bloody love human flesh and both seemingly feature Nicholas Hoult. However, Jack The Giant Slayer comes off as a far more well-rounded film than Warm Bodies and it thankfully lets Hoult flex his acting chops to a decent enough degree. 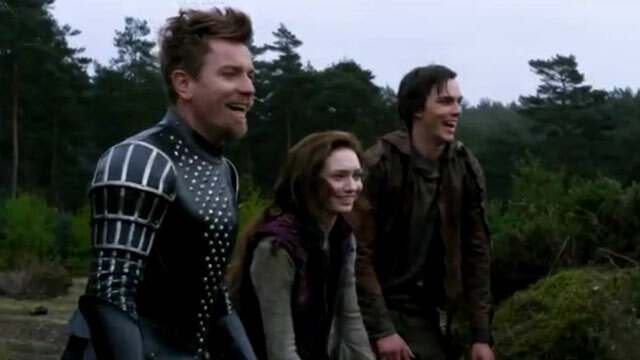 I also feel that merit needs to be given to Eleanor Tomlinson as Princess Isabelle. She just “suited” the role well. But this is undoubtedly Hoult‘s movie. However, that’s not to say that the film is a classic. The crux of the problem with this film is its inherent reliance on CGI giants. I like to think that CGI has come on dramatically in recent years. We’ve almost been spoiled in the past year with beautiful mo-cap performances from Andy Serkis as Gollum in The Hobbit and Mark Ruffalo in Avengers Assemble. Obviously, massive credit goes to their respective animation teams, but the performances are also sublime. OK, you may be thinking “well that’s all well and good – they’re only a single character at a time and aren’t as complex as an army of giants”. Well good sir / ma’am, I point you towards the utterly fantastic Troll Hunter. The best Norwegian film I’ve ever seen (and I’ve seen at least one). 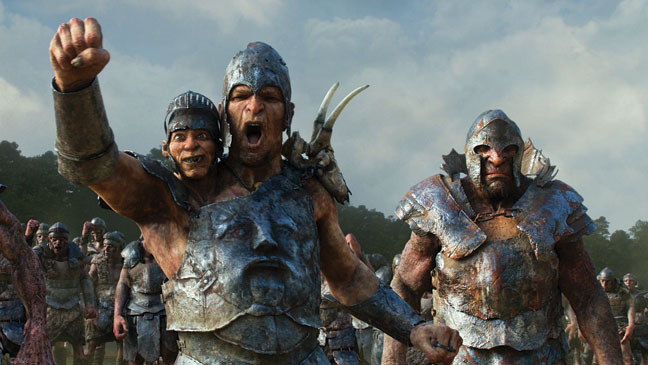 As Hollywood has far deeper pockets than a group of Norwegians, why didn’t the giants look as utterly mind-blowing as those in Troll Hunter? That would automatically bump the film’s rating up. But the shortcomings aren’t just in the visuals, but in the plotting. However, I don’t want to get too bogged down in there. Look at the title of the film. Think about the story it’s based on. Is it therefore made for you? Really? You’re going to judge it with your 18 year old (Oh you’re older than that? You don’t look it. You must work out.) mind? The initial story is simple, and so is this film. It’s a rescue story, with a smattering of romance and breaking down class constraints. Plus a load of giants and a castle. If you’re willing to switch off and accept the film for what it is, then you’ll enjoy this a lot more than you would otherwise. However, if you’re going in expecting something to rival Tolkien’s recent resurgence at the box office, or something as gritty as Game of Thrones, you’re going to be disappointed. 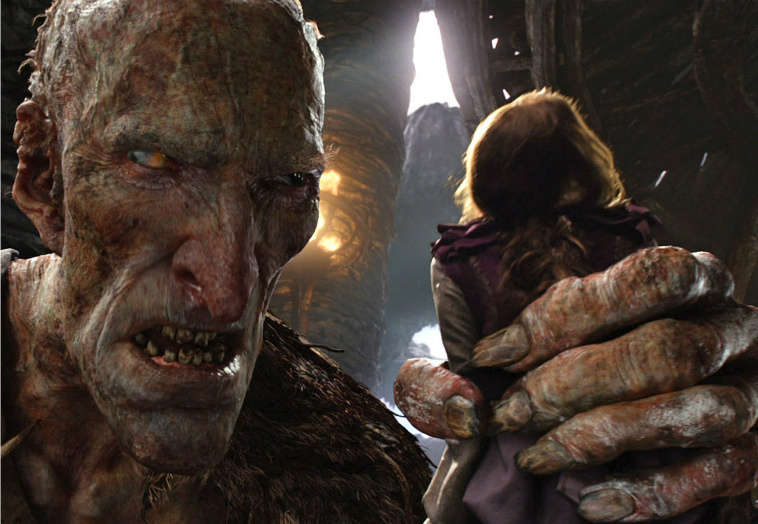 Jack The Giant Slayer is a nice twist on the classic tale. It also has a lot more of a moral core than the original story too, so it’s definitely suitable for the youngsters. What about the rest of us? So long as you’re willing to suspend your need for a complex narrative then you’ll have a good time. It’s a popcorn flick, nothing more, nothing less. Judge this book by its fairy tale cover. This entry was posted in Review and tagged Beans, beanstalk, British, children's story, Crown Jewels, Ewan McGregor, fable, fairy tale, giants, Jack and the Beanstalk, Jack The Giant Killer, Jack The Giant Slayer, Nicholas Hoult, Troll Hunter. Bookmark the permalink. Nice review. It was a solid film at best. Yeah I didn’t see too much to make me upset about having seen it. Some critics would have you believe that, but it’s a fairy tale! It’s simply a pleasant film. Good review. It’s a fun movie and if that’s what you go in expecting, then you’re going to be happy. At least that’s what I went in feeling like. Exactly! I can’t help but feel that some people were expecting something more than what is, essentially, a fairy tale. Glad to see you went in with the same mentality as me dude.